Previous covers used, among other techniques, different ways to draw attention through colour. For this year, we are going to play with the white. For an artist or designer a blank page is enough source of inspiration by itself. It represents the first step of all creation, the infinity of possibilities, the wonderful challenge of starting a work from scratch. After the source of inspiration that is the Selected festival, that blank cover will be the canvas that each person will paint with their imagination and, in addition, it will be the symbol that recalls the courage to face this challenge. As the cover will be white, the paper will be the main player: we will use the two textures (mate and gummy) of the paper Novaflex by Guarro Casas in rigorous scoop (this paper is officially presented in December in Monaco). And we will capture the messages of the cover through an impeccable footprint. At Otzarreta, we have produced the Selected book of the last three editions, with covers designed by Sebastián Gómez Legarda (2015) and Hernán Ordoñez and Gabri Alonso (2016 and 2017). This year, in addition to the production, we will also design the cover. 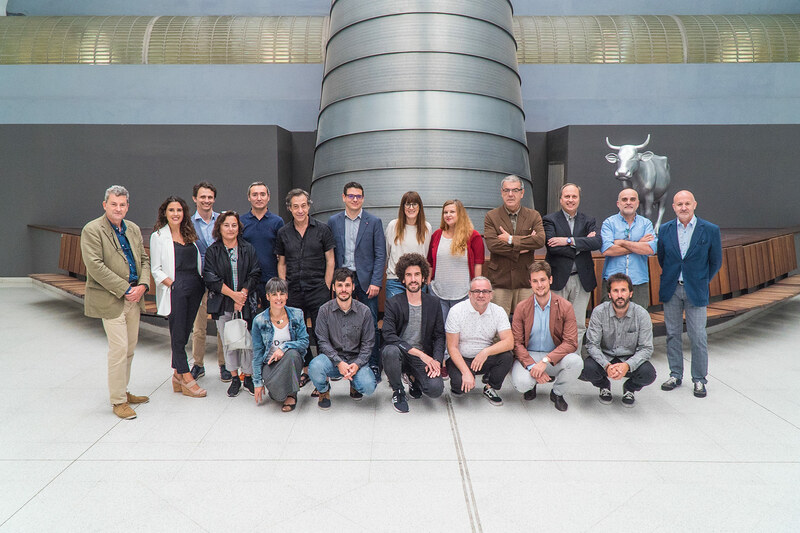 Last July, a selection of professionals and teachers in design and visual communication gathered in the Ensache building of Bilbao Bizkaia, they are the Selected Jury 2018 that evaluated the works received for the Call For Entries 2018.It was an intense day, of high professional level and that concluded with the selection of Selected'18 works that we published today and started to promote.This is the composition of the Jury.